San Francisco’s Russian Hill is on one of The City’s 42 hills and is named for a long gone Russian cemetery. 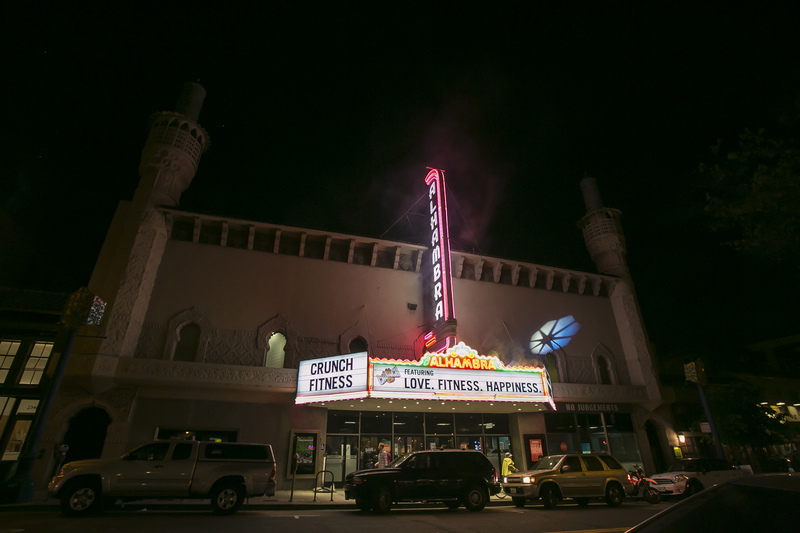 Polk Street is the heart of this neighborhood where, for 72 years, thrived the wondrous Alhambra Theatre. Designed in Moorish Revival style by the architecture firm Miller & Pflueger (Timothy Pflueger also designed The Castro Theatre and Oakland’s Paramount Theatre), the Alhambra opened in 1926 and it seated 1,625. Watching a movie there made you feel you were in a magical palace, much like Alhambra of Granada, Spain on which the theatre was modeled. It was a registered San Francisco landmark, but falling attendance and financial woes finally closed the theatre in 1998. 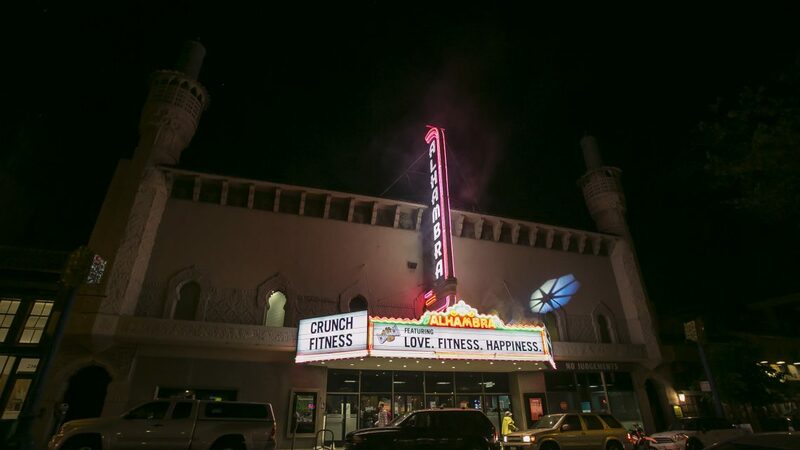 Reborn as Crunch Gym, most of the theatre’s exquisite interior faux Moorish detail has been kept, movies are sometimes shown during gym hours, and the balcony aisles having been widened to accommodate the 80 cardio machines facing the big screen. Audience participating in the Alhambra 1926-1996 exercise class. Courtesy the artists. 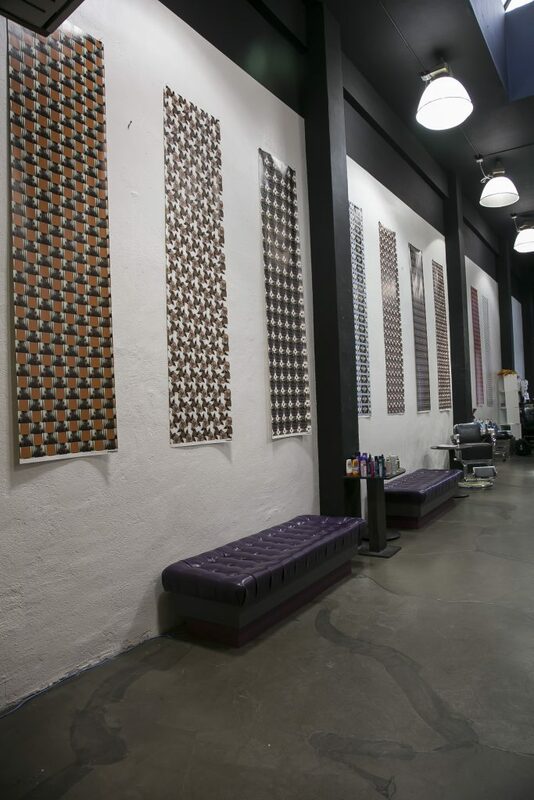 On the evening of September 30th, a friend and I attended Lynn Marie Kirby and Christoph Steger’s The Alhambra Project, a night of performance and installation at Crunch and various neighboring businesses (My Nails would paint your nails in greens, oranges, and ochres, the colors of Moorish Spain). When we asked some young exercise enthusiasts if they knew there was an art event happening, they politely took out their ear buds and quizzically gazed at us and said no they did not but reckoned it was a nice idea, and then returned to their workouts. 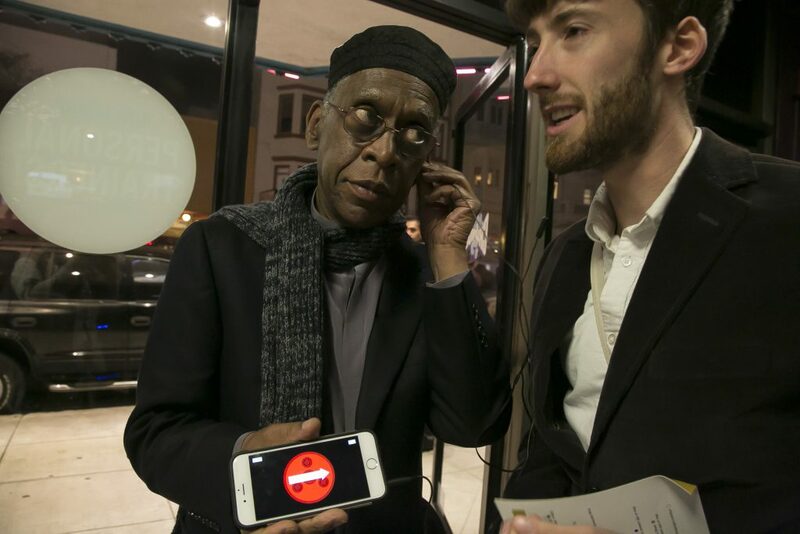 My friend and I joined the art crowd huddling excitedly at the front entrance, where we were handed cards instructing us to download the project’s app to our phones. Guests taking the geo-location based neighborhood walking tour on smartphones. Courtesy the artists. 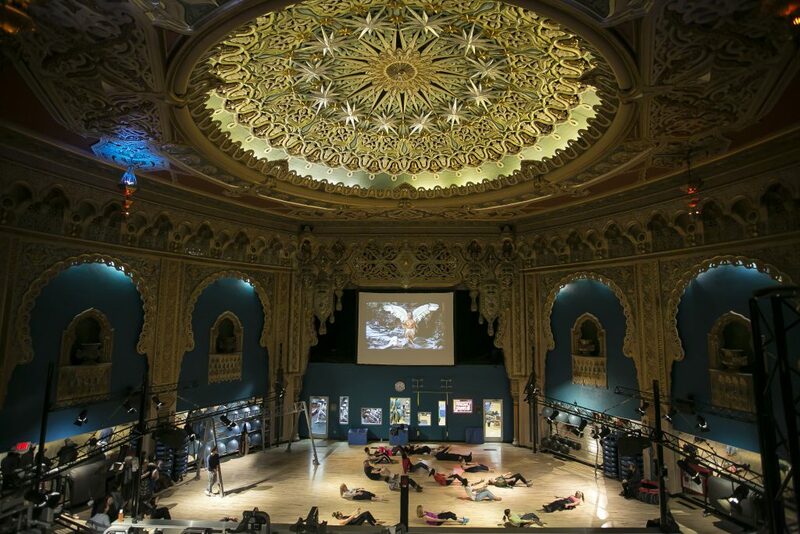 In the lobby, six video monitors showed a rotation of videos by Lebanese artist Omar Mismar, Exercises in Ruins (animated photos of beautiful muscle men working out in the rubble of Gaza) (2016), featuring Mohammed Baba and the Bar Palestine Collective, a guided tour Kirby took at the Alhambra in Granada, and video portraits of Russian Hill dogs, cats, and other pets. 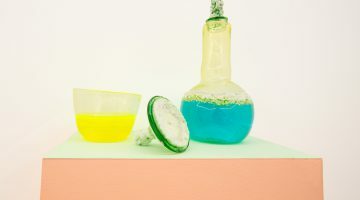 In a quiet area with a faux fountain, we sat on a massage table and watched a video monitor of poetic text exchanges between Kirby and Lebanese poet and artist Etel Adnan about time, memory, and reality—a “conversation” they conducted during Kirby’s visit. Hidden among the exercise machines was Binta Ayofemi’s untitled (2016), a video piece of a waterfall, like one of the small fountains found throughout the Alhambra in Spain—a way to create calm and contemplation. 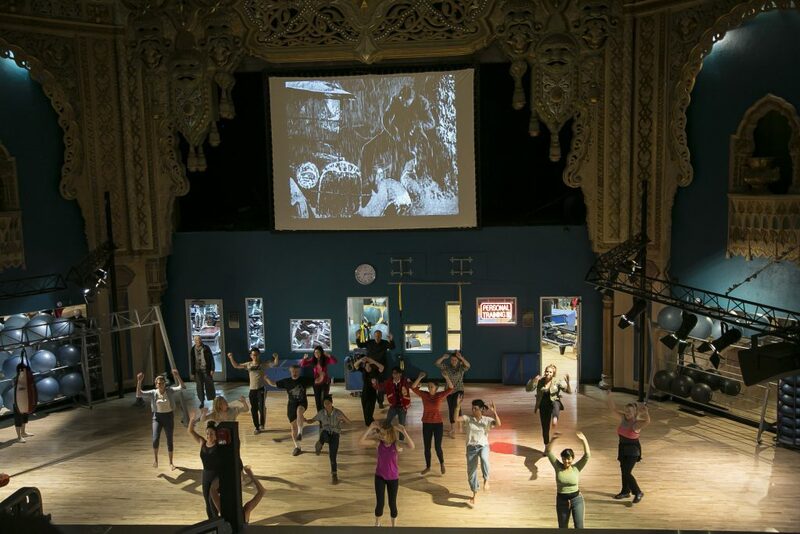 Projected on the big screen in the auditorium was a series of film clips from movies shown at the Alhambra from 1926-1996, the clips edited into repetitive gestures that inspired workouts on the gym/dance floor down below. (I happily joined them in an exercise routine.) Steger’s animated tessellation patterns were 17 possible combinations of the infinitely repeatable patterns found in the original Alhambra, presented with a soundtrack of Debussy’s Gateway of the Alhambra Palace, Mamoru Fujieda’s Patterns of Plants, and a recording of the Alhambra’s water fountains—an immersive experience intensified by the app, which also takes you to 17 geotag locations and features conversations with neighbors, merchants, snippets of music, and animation. While navigating the participating neighborhood businesses, Rebecca Solnit’s Infinite City, A San Francisco Atlas came to mind, where she suggests that each of us is in fact an atlas embodying our version of a place. Solnit’s book has a section called ‘Cinema City,’ which recounts San Francisco’s storied cinematic history. 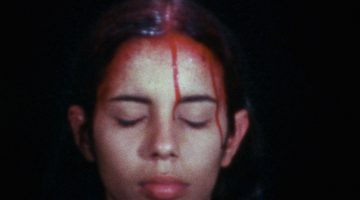 She recalls leaving a theater and muses on how a good movie lingers with an aftertaste of enchantment when films are seen in the contemplative zone of a theater, and sometimes, afterwards, summon up experiences that haunt you far beyond the screen. Kirby and Steger’s night of performance and installation of modern technologies that echo Islamic art and architecture, in one of the most beautiful modern gyms in the world, made for a fun and entertaining evening. 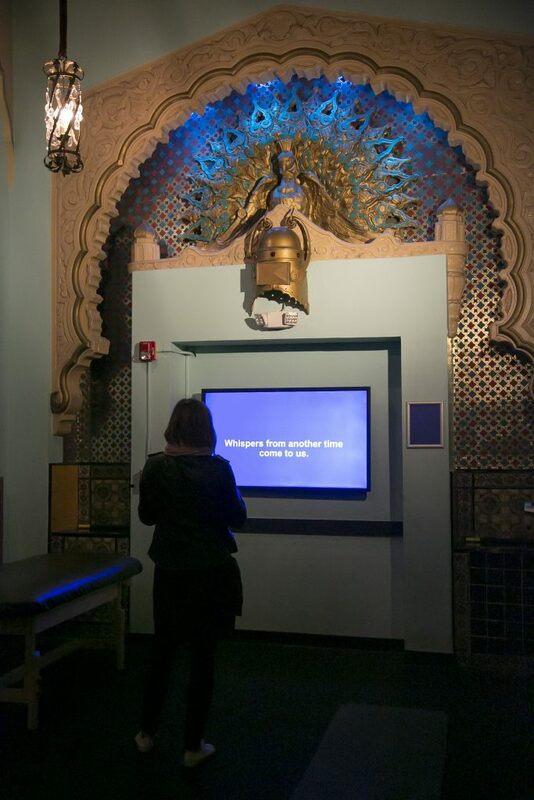 All of its elements—the beauty of the iterating patterns threading through the movie palace, the animated tessellation graphics, the waterfall in video form, and the musings on muscle men and Moorish architecture—stimulated our imaginations in an unlikely time and place. 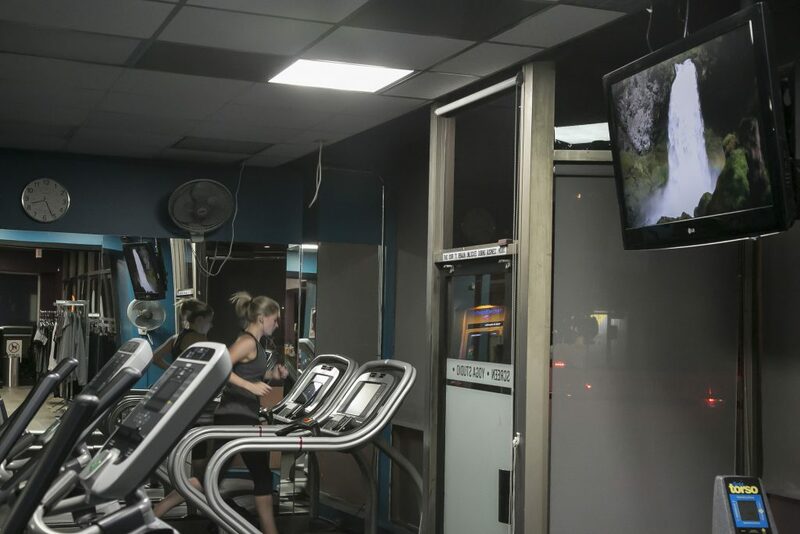 But the disjuncture of memory and new media placed in and around the cacophony of a functioning gym created a visual and auditory dissonance. With the sight of treadmills lining the aisles of a great movie palace, I felt a profound sense of loss and dread that the modern world has little room left for magic, wonder, and contemplation.